Veterans are Great Franchisees… Heres Why! According to the International Franchise Association as reported in Forbes magazine, one out of every seven franchises in the United States is owned by a veteran. Franchisors welcome veterans with open arms, giving them special incentives and training programs to help the transition from the military to civilian life via franchising. Veterans have many opportunities to enter the franchising business. Returning from deployment can be difficult and may not translate well to a desk job or other traditional work experience. Surprisingly, franchising has a lot more in common with the military than people might think. These parallels may help to ease the transition for veterans as they adjust. In the military, soldiers need to follow a set of procedures determined by their leaders. Following the system is very important in the military so that everyone knows what to expect and the outcome has the best chance of being positive. Similarly, franchisees must follow the procedures determined by the franchise leadership so that their customers can experience consistency each time they purchase a brand's product or service. The fact that veterans know how to follow procedures and adhere to a system makes them ideal candidates for franchising. Although veterans can take orders, many also have leadership skills that are necessary for franchisees. The bottom line is, the success of a franchise requires the ability to take orders as well as give them. Veterans are skilled in both areas. Another reason veterans make good franchisees is that they have a strong work ethic. They are used to working hard and are determined to complete their mission. Franchisees need to work hard to make their franchises thrive, and veterans are more than capable of such hard work. Training is an important part of both military life and franchising. Veterans understand the importance of training and are able to complete training successfully so that they are well prepared for their new mission - making their franchise profitable. Perseverance is another trait that veterans develop while serving their country, and it also serves them well as franchisees. Having a franchise takes dedication. Veterans have dedicated years, sometimes decades of their lives to protecting and serving their fellow Americans. They know how to give their all to something, and can put these skills into practice as franchisees. When problems come, veterans will see them not as a death blow to the franchise but as an obstacle to "improvise, adapt, and overcome," as the unofficial Marine Corps mantra states. There are special sources of financial help available to veterans who want to buy a franchise. Many franchisors offer special incentives for veterans who are interested in starting their own business such as discounts on both initial and ongoing franchising fees. The International Franchising Association's VetFran program has more than 200 participating franchises that will give special discounts to veterans. The most common form of help is a discount on the initial franchising fee, which can vary from 10-50% .Once a veteran has paid the initial fee, there is still equipment to buy, workers to hire and a building that may need to be renovated or built to suit the franchise. The Small Business Administration (SBA) offers loan programs for veterans that allow them to get funds at very low interest rates without meeting the usual criteria such as an excellent credit rating, which is normally required. Certain thresholds for credit rating must still be met, however. Once a veteran has paid the initial fee, there is still equipment to buy, workers to hire and a building that may need to be renovated or built to suit the franchise. The Small Business Administration (SBA) offers loan programs for veterans that allow them to get funds at very low interest rates without meeting the usual criteria such as an excellent credit rating, which is normally required. Certain thresholds for credit rating must still be met, however. SBA-guaranteed loans like the Patriot Express Loan can be used for any franchise-related need, including construction and working capital, which could be nearly any business need. Some loans have terms of 10 to 25 years, which give franchisees low payments while they are building their franchises. SBA microloans are also available for those who don't need as much funding. These loans offer quick approval so as not to hold up the franchise process any more than necessary. Financial help is also available for military spouses in some cases, according to the SBA Veteran's Entrepreneurship Act of 2015, such as waived loan fees and other special financing options. Veterans who want to be franchisors will find many sources of help to get them started in the franchising community. Maybe that's why 4,000 veterans became franchisees in just one year (2011) as the country was struggling to come out of the Great Recession, and nearly 66,000 franchise businesses are currently veteran-owned. Franchisors recognize the many ways veterans are a good fit for franchising, and many are striving to help veterans in any way they can - both financially and with training support that will help veterans succeed and become leaders in the franchise community just as they were in the military. 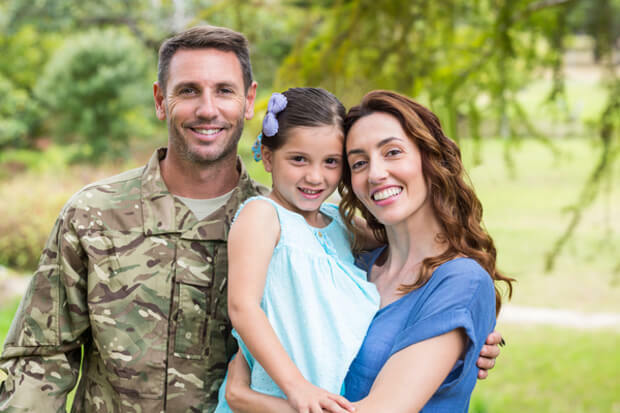 Franchise Gator offers many veteran-friendly franchise opportunities so that veterans can take advantage of discounts and incentives offered to them for their service.